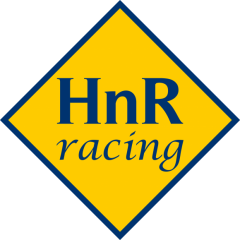 After an impressive outing at Santa Anita on May 11, 2017 in an open Allowance Race on the downhill turf course, HnR decided to ship her to Pennsylvania to take advantage of the lucrative PABRED Stakes program. 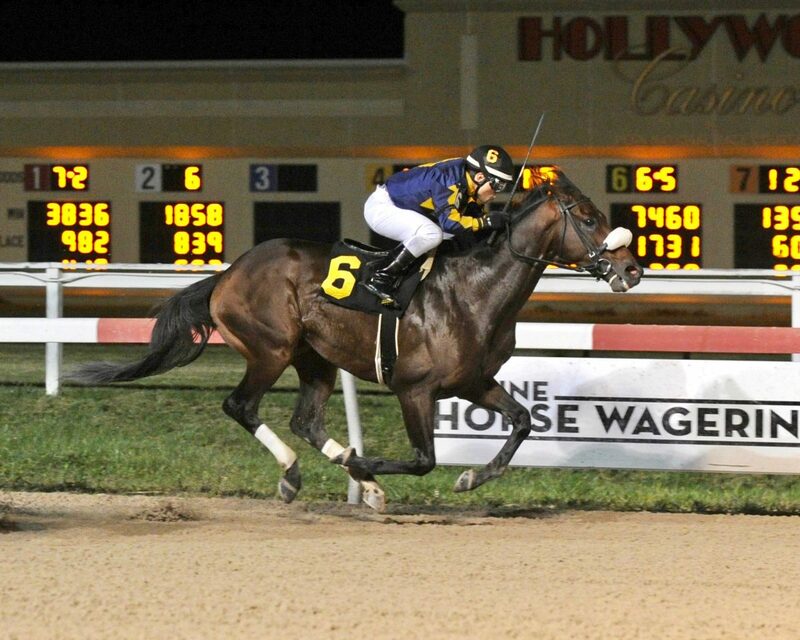 Grand Prix, trained by Gary Mandella, arrived in good order in PA via Tex Sutton Horse Transport. 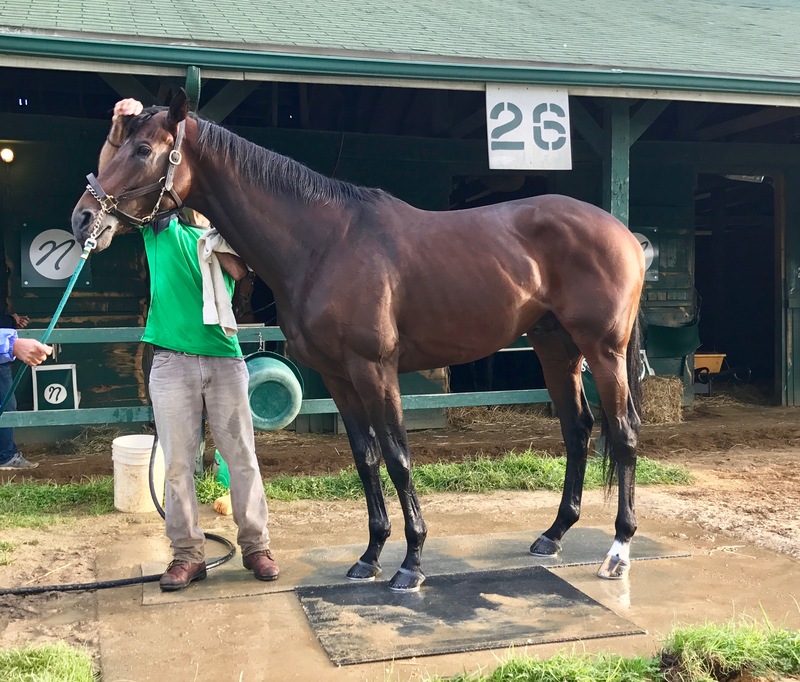 Based on her race fitness and positive conditioning at Delaware Park in Keith Nation’s Barn, we decided to run her the New Start Stakes, a 6 furlong sprint on the dirt for 3 year old PABRED fillies on June 3rd at Penn National in Grantville, Pa. 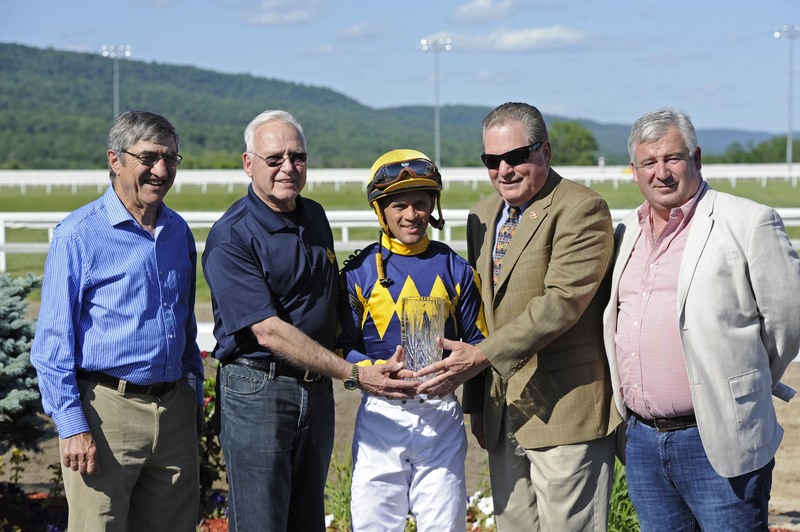 The New Start Stakes was part of a 7 stakes program including the prestigious Pennsylvania Mile and the Governor’s Cup. 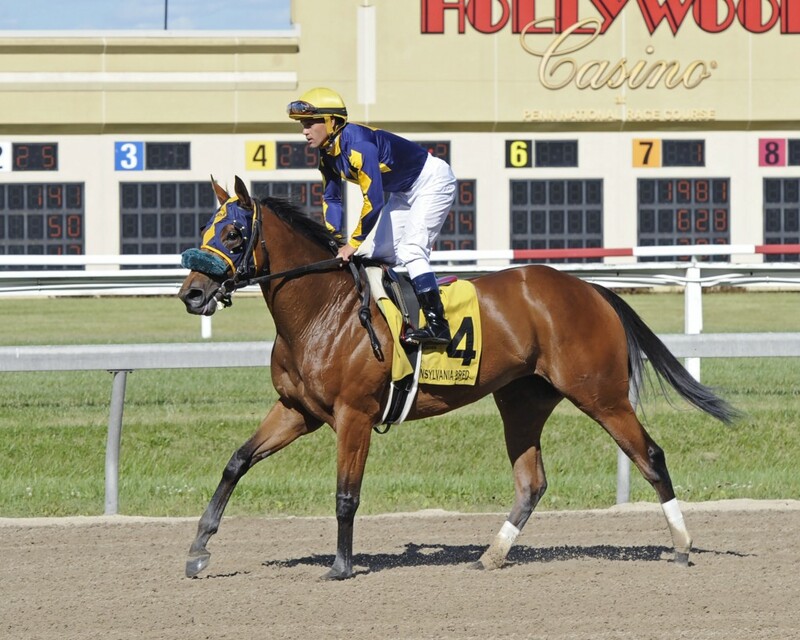 Javier Castellano, 4 time Eclipse Award Winning jockey was booked to ride Grand Prix. Grand Prix broke sharply, maintained a position of stalking the leaders about a length off the lead before asserting herself at the 1/4 pole, maintaining her lead to the end of the race, besting undefeated, stakes winner and PA 2 yo filly of the year Rose Tree. We were not only gratified that she won impressively, but her splits and final times of 1:09.61 were certainly on the high end of our range of expectations. Grand Prix came out of the race 100% and will stay on the east coast. We are currently planning at least 3 more races before assessing our next move with her. Photos by B n D Photography.